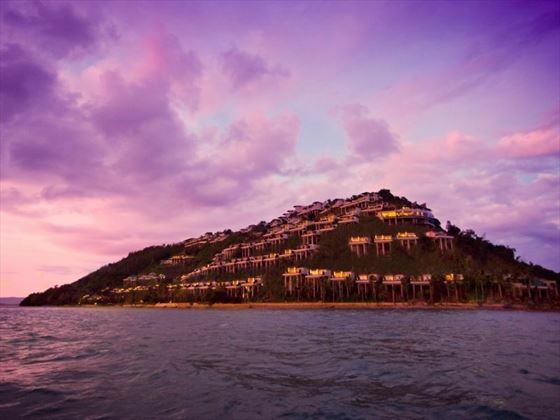 Situated on an idyllic tropical island, Conrad Koh Samui boasts awe-inspiring views and a tranquil atmosphere. 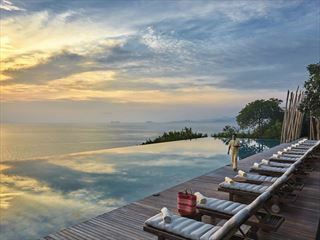 Luxurious in every way, the surrounding landscape of rich verdant rainforests and shimmering waters provides the perfect backdrop to your getaway. 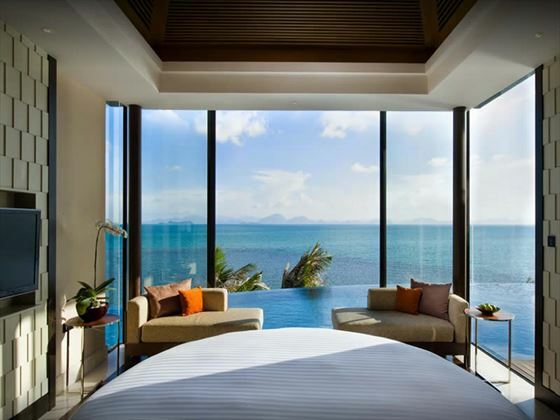 Each of the secluded villas offers elegant décor and a private infinity pool, as well as sumptuous features such as white marble bathrooms. 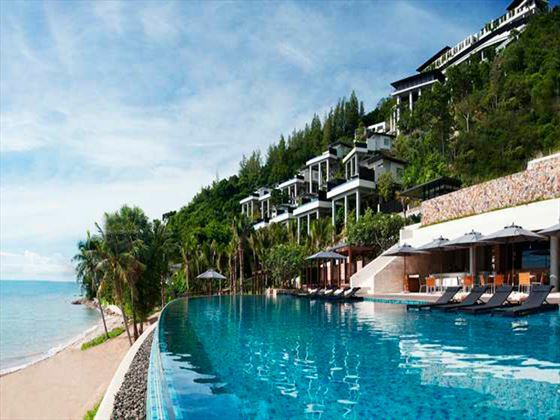 Enjoy a revitalizing massage or a relaxing steam therapy treatment at the resort’s holistic spa, or explore the exotic marine life on a snorkeling trip around Koh Samui’s stunning coral reef. 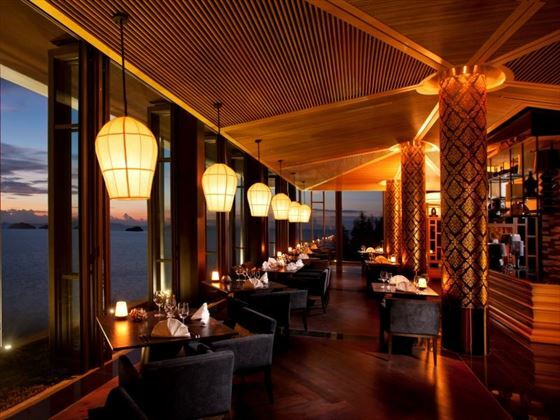 When you fancy a bite to eat, head to one of the four restaurants for opulent décor, a relaxed vibe and delicious cuisine. The peaceful library is great if you simply want to unwind and take in the views, too. 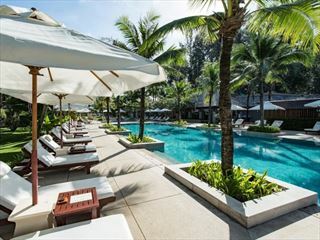 Top tip: Kids haven’t been forgotten here – you can book them into the Turtle Kids Club, where they can enjoy fun-filled workshops, games and a spacious swimming pool. 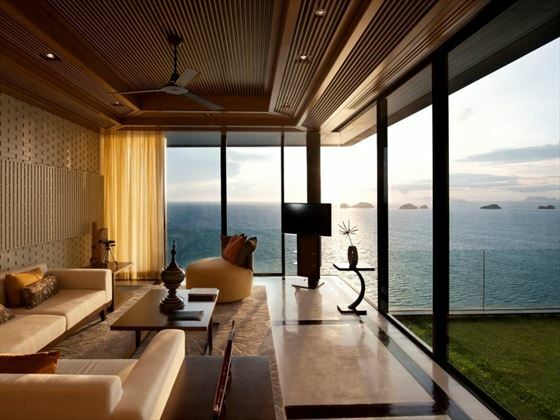 Further reading: Conrad Koh Samui is featured in our guide to the top 10 luxury hotels in Thailand. 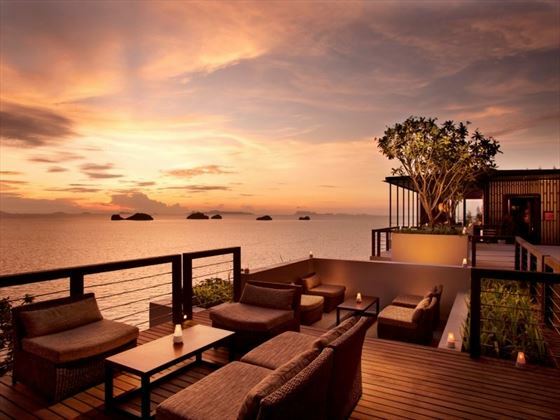 Overlooks a private 10m pool and azure waters of the Gulf of Thailand. 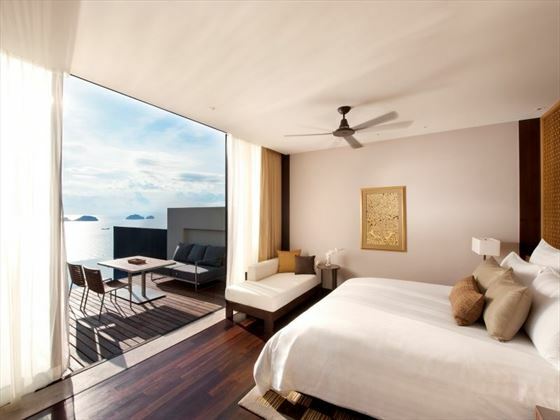 Features contemporary design woven with Thai elements, and set amidst dramatic landscape for an unforgettable luxury experience. 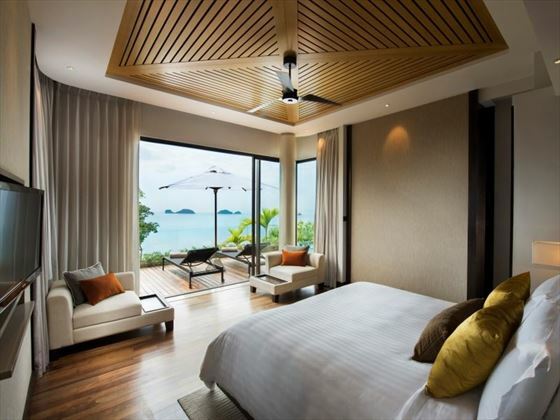 Featuring fully stocked minibar, espresso machine, DVD, iPod docking station and high speed internet; rain shower and oversized soak bath in the marble bathroom, overlooking the private pool deck and ocean. Upper level entry with a lawn and sala for spectacular vistas. 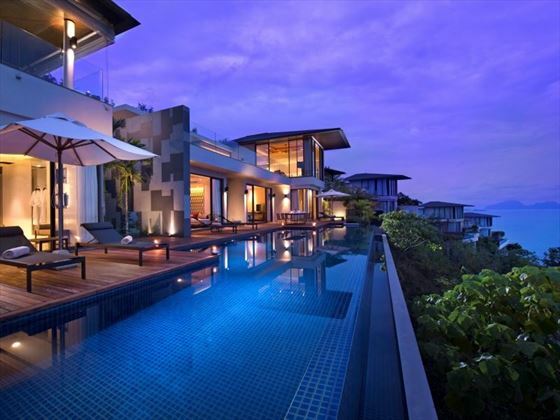 Features a living room, powder room, kitchenette and dining room, and the lower level houses a double bedroom suite with king bathrooms that lead to a 12m infinity pool. 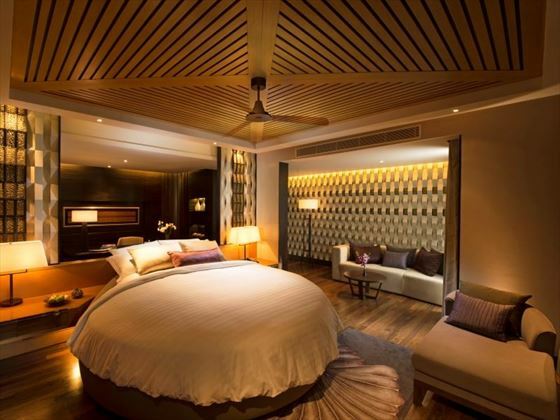 Master bedroom suites feature marble bathroom and spa-quality amenities. Both suites feature living areas and work desks to keep in touch. 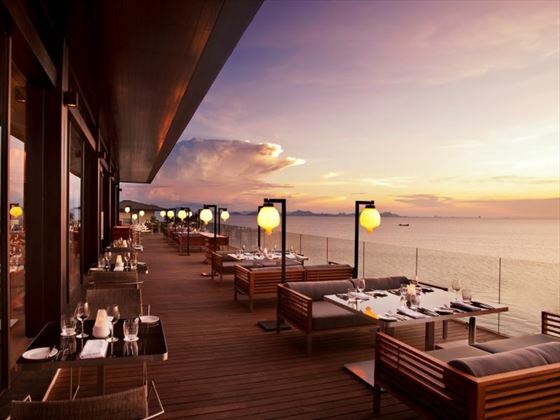 A full-featured kid’s club and kid’s food menu truly makes the Conrad Koh Samui and "Kid Friendly Resort". 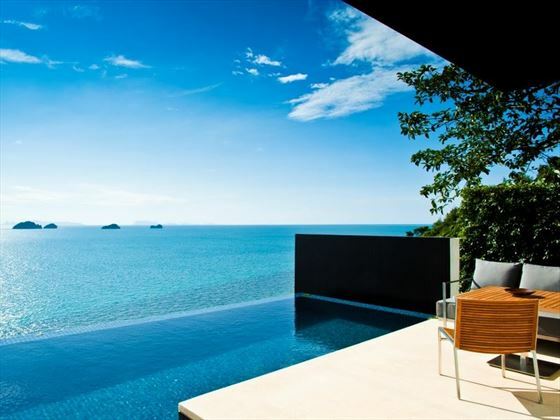 Each Oceanview Pool Villa has a 10 meter infinity pool overlooking the azure waters of the Gulf of Thailand.